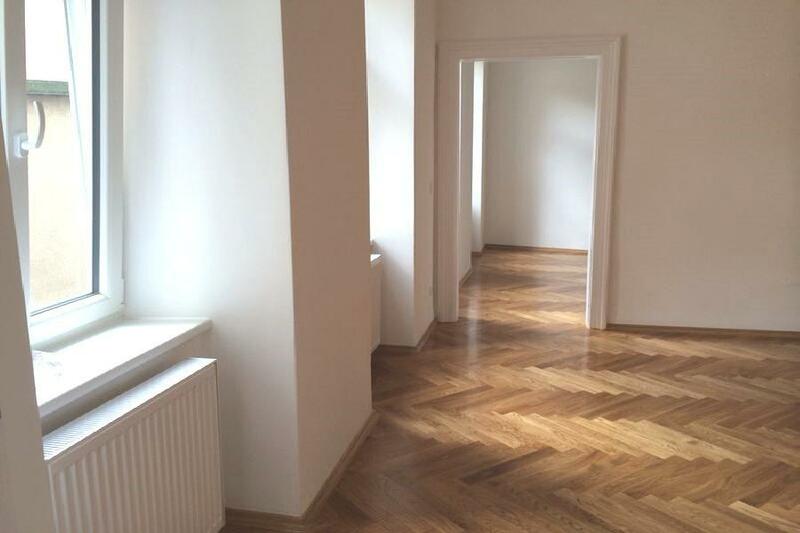 This spacious and light flooded apartment is located in a well maintained building, opposite St. Othmar church and near Radetzkyplatz. The apartment is situated on the last floor and is split across two levels. 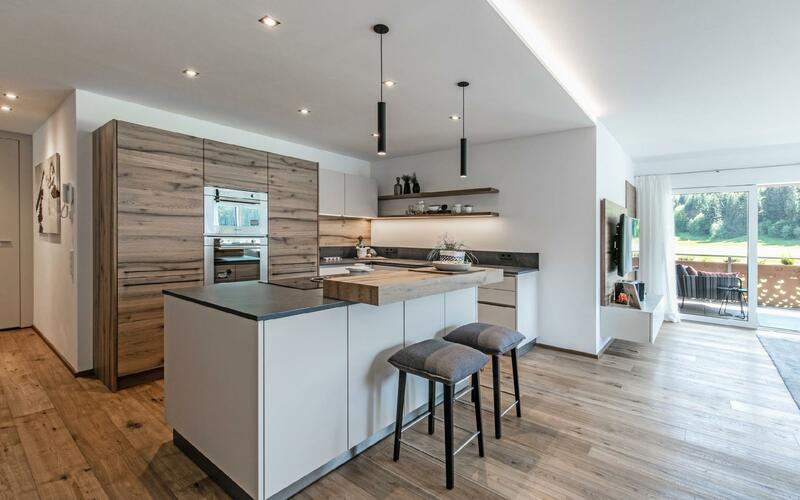 The ground floor comprises a spacious entrance hall with access to the guest toilet, two bedrooms with each a bathroom and the open plan living area with a modern, fully equipped built-in kitchen, a dining area and a sitting room with a ceiling height of more than 5 metres. The upper level comprises the master suite arrangement with a bedroom, a bathroom and a dressing room. An additional gallery room with a bathroom is suitable as guest accommodation. The access to the spacious terrace is granted at the summer kitchen. Another grassed roof terrace offers amazing views across the area. The apartment is in excellent condition and sold including fixed features & fittings as well as TV flat screens in most rooms. 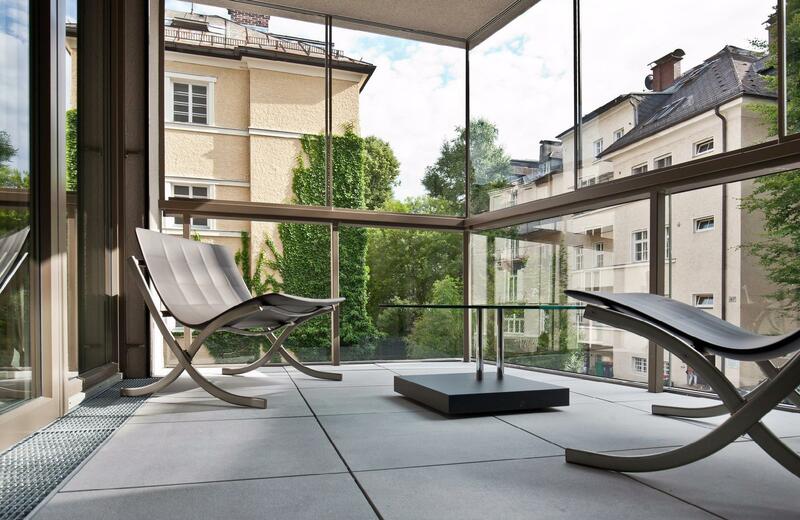 A spacious garage round the corner at Adamsgasse completes this truly comfortable living arrangement. 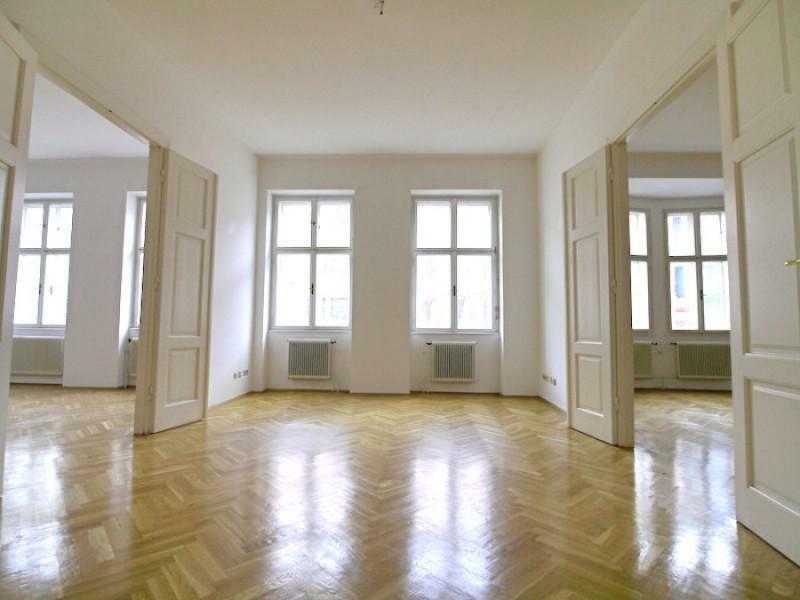 Public transport is almost at your door step and Wien Mitte or the inner city can be reached within a short walk. Landstrasse is the 3rd municipal District of Vienna, Austria (German: 3. Bezirk). It is near the center of Vienna and was established in the 19th century. LandstraГџe is a heavily populated urban area with many workers and residential homes. It has existed since approximately 1200 AD. In 1192, the English King Richard the Lionheart was captured in the Erdberg neighbourhood, after the unsuccessful Third Crusade. The name "LandstraГџe" means "country road". To the tourists, it is mostly known for the 18th century castle and gardens of Belvedere, the residence of Eugene of Savoy, which today houses the Austrian Gallery. Another residence was built by the Russian envoy to Vienna, Count Razumovsky. A more recent point of interest is the Hundertwasserhaus block of flats (apartment block) designed in a dream-like style by the architect and painter Friedensreich Hundertwasser. Museums in LandstraГџe include the KunstHausWien (also designed by Hundertwasser) and the Museum of Art Fakes. LandstraГџe District is located in the southeastern city center of Vienna. It has an area of 7.42 km, or 1.8% of the Vienna City territory. This district is in the middle of Viennas municipal districts. For one of the "interior districts" the district has a comparatively high proportion of greenery. The district lies along several terraces of the Danube, where the Danube Canal forms the eastern and the Vienna River the northwestern border. In the south of the district, Laaer Berg borders LandstraГџe. 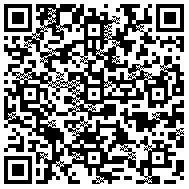 For details regarding the property AP-EA-88525, please complete the form below. We ensure you the highest level of data protection and absolute discretion with regard to your personal information.